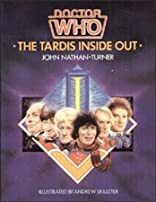 Provides a behind-the-scenes look at the popular television series and discusses the six actors who have portrayed Dr. Who in the past twenty-one years. About John Nathan-Turner (Author) : John Nathan-Turner is a published author of young adult books. Published credits of John Nathan-Turner include Doctor Who-The Companions, Dr.who--Companions.